Many people, naturally, want to live in their homes and maintain independence for as long as possible. Making the decision to move to an assisted living or a long-term care facility is not always an easy one and is met with fear and apprehension. At Serenity Gardens, we offer patient-focused, quality memory care in a variety of settings that fits your loved ones needs and can be modified with improvement or deterioration in condition. 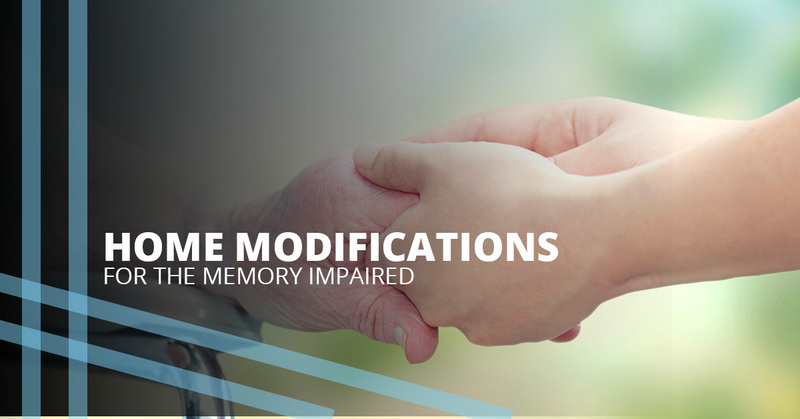 If you care for your loved one who suffers from memory impairment in their home or yours, there are a few things you can do to make it safer and last much longer. Similar to baby- or dog-proofing the house, look for any potential hazards that your loved one may find. Unlike dogs and toddlers, you aren’t so much looking for medicine bottles and cleaning supplies, but you’ll need to be more aware of what your loved one does routinely that may be hazardous if they forget what they are doing. For instance, remove lighters, matches, and candles. You can replace them with scented wall plugins or potpourri. If they do not have a coffee pot that automatically shuts off after a certain amount of time, consider replacing thiers for one that does. Consider turning down the hot water heater’s temperature and turning off gas fireplaces to removal other potential hazards. A wise thing to do for any person who is at an increased risk of falls or who requires any amount of supervision for safety reasons is to reduce fall risks as much as possible. Simple things, like removing or securing rugs and floor mats, can dramatically reduce fall potential. You can also install a shower chair and handrail in the bathroom and add non-slip tape to the edges of hardwood stairs. Make sure that electrical cords are tucked and the house is not cluttered; there should be clear paths around the home. Don’t forget the outside of the home, including any decks, patios, or sidewalks. Make sure that walking terrain is even and free of debris. While there may be no need to have someone stay with your loved one 24 hours a day, any person who is not completely safe independently should have regular monitoring and assistance. Be sure that your loved one has someone to check on them at least daily, and more frequently if their condition warrants. When you visit their home, do a quick safety check to make sure that nothing has spilled on the floor, there is no expired food in the kitchen, and all appliances are turned off. It is also a good idea to make sure that they have eaten and ask if they need help with hygiene, as most accidents occur when people feel uncomfortable. Remember that your loved one may not know why they are uncomfortable or be able to recall what they did and did not do — including the last time they went to the bathroom, took medications, ate, etc. For those who require minimal assistance and are mostly safe, you may be able to check on them daily. For those whose memory impairment is more severe, they may require in home care or the safe environment of a memory care assisted living. At Serenity Gardens, we encourage our residents to maintain their independence as long as possible while we provide the care and assistance they need to live a safe and healthy life. We promote autonomy and provide activities to keep our residents stimulated. 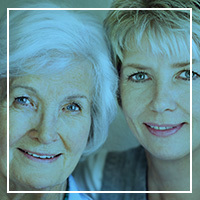 We specialize in memory care for the dementia patient, and all of our staff is certified and has the skills necessary to provide a safe and healthy environment for your loved one. For more information or to schedule a tour of one of our campuses, contact us today!